If you check the loser Forex trading history and the winners you can see that loser used variable lots. It’s completely obvious that they are not trade according to the specify Forex money management. In fact in their Forex history it seems that they are trading with random lots! When you check the winner Forex trader’s history you can see that they are using a rule for their lot, according to their balance and their profit. 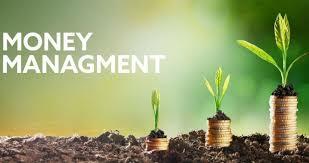 Here I want write an important keys to know how to manage your money in Forex market. When you want invest 10,000$ for Forex trading the first successful key is dividing it to the smaller amount. I highly recommend you that never invest all amounts in one account. And the other recommendation is don’t use 2 or more different trading strategy in one account. It’s better than you have different Forex trading strategy and use separated account for them. It will help you to understand your Forex strategies problem. When you are trading with different strategy maybe you earn profit. But you can’t analyze that which one is better or which one is not profitable Forex strategy. When you found good strategy in demo account don’t use same risk in demo account and real account .remember that the real account is different than demo account. Forex market tick data and historical data on demo and real account are different. According to my experience it’s better to use half risk in your real account for example if you trade with 0.1 lot on 1000$ USD with your strategy on demo account start your real trading with 0.05 lot on real account with same amount. 1- Only trade with specify risk percentage according to your equity not your balance! 2- Let’s your profitable positions go and cut your wrong position soon. ← Forex Hedge Strategy Challenge!